Crazy Book Reader: Review Clockwork Angel by Cassandra Clare. 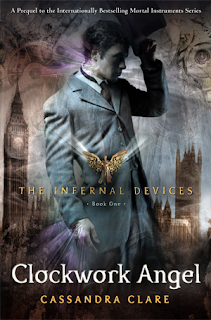 Review Clockwork Angel by Cassandra Clare. I waited a lot for this book, I actually preorder it, but since I buy it from The Book Depository, it took almost a month to arrive home, so it was a very expected book. I was so happy when I got it and so eager to reading it. The cover is gorgeous it totally transport us to the specific era in which this story is settled. Ok we all know Cassandra Clare and we all know what an amazing and wonderful writer she is, but she really truly surprise you every time. I didn’t want to read this book, because I thought nothing could compere or improve what I read on The Mortal Instruments, definitely I was wrong. Don’t misunderstand me, I totally love and will always do love Clary and Jace, and Magnus and Alec, and everything around TMI, but Clockwork Angel really caught me, the atmosphere of the story, the London Cassie describe us, the darkness in it, the mystery in it, and a bunch of great characters make of this one of my favorite books of the 2010. Tessa Grey is a young lady that for some tragic circumstances is leaving her life in America to travel to the old, dark and humid London. She is excited and worried at the same time, but knowing she will finally be with her older brother make her feel in some way safer, but things didn’t work out that way; instead she was capture by a couple of terrible women and things get very complicated. Tessa will discover some secrets of her past, will learn not to judge only by the looks, will learn not to trust and will know some people that will turn upside down her world. As you get into the story, it involves you and you really feel transported to London, to a dark and mysterious city, surrounded by evil creatures and much worst people that will make you feel afraid, no one can help you , and the ones who can don’t completely trust you, that’s Tessa’s reality, and she must deal with it. Here we met Will and Jem best friends, both shadow hunters, both young and attractive men, that for different reasons will feel attracted to Tessa. The tender in Jem, the bravery in Will make them both great main characters, you cannot stop reading about them, you just want to get more. We also see a so love character from TMI Magnus, and I think this part of his life, make me love him even more. 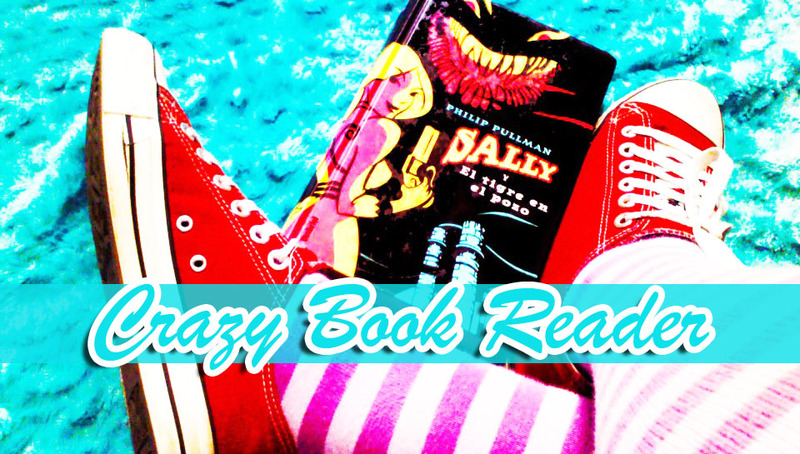 All the other characters on the book are amazing, and I feel like we could have a book just for every character cause all their stories are very interesting, wishing Cassie have tons of time to write about every of them. The end is such a cliffhanger, I couldn’t believe it was it, and I can hardly wait to read the sequel. I really, strongly recommend this book to you, and if you haven’t read TMI series, you MUST, for me, Cassandra Clare earn 5 Crazy Book Cats!! Great review!!! I have had this on my to be read list for every. I haven't read the mortal instruments series yet, but I think I want to read CA first. I'm going to have to move it up to top priority! Hi! I really enjoyed this book. Can't wait to read the next one. Valentine's Day! Books with Love Hop!